Aguas Primitivas de la Patagonia S.A. is a company with International presence dedicated to the production and distribution of Premium Natural Mineral Waters and Flavoured Waters from Patagonia. 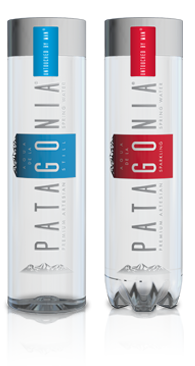 We bottled our waters at our Patagonia source using the most advanced technology under strict quality controls. Our waters are produced under the following quality certifications:. FDA, IFS, ISO 9000, HACCP, HALAL & KOSHER. We produce 100% natural only, without any additives or preservatives. Our Flavoured Premium Waters are made with 100% Natural essence of the fruit, without any additives or preservatives or any artificial colorant, sugar or sweeteners.